In the aftermath of the March for Our Lives and in light of so many other events and circumstances uppermost in our hearts and minds, I am not writing a feature article this month. I am simply inclined to share a few "good news" stories and resources. You might enjoy them yourselves or be able to share them in your workplaces, families and communities. In any case, I offer them for us to be heartened. Because we occasionally use "the talking stick" in Fearless Conversations, I was delighted and intrigued to hear that Senator Susan Collins actually used the practice in bipartisan discussions to avert a government shutdown. Reports say that her office had become the "little Switzerland" for the funding debate. The commentaries on the talking stick process were a mixture of praise, curiosity, ridicule and dismissal. Even so, it was acknowledged that Senator Collins had gotten her colleagues to listen to one another - uncharacteristically so. The Talking Stick is a tool that has been passed down to us by many indigenous peoples who use it in their councils and decision-making. One explanation is that it allows everyone to present "their Sacred Point of View". The central protocol is that everyone refrains from speaking in order to listen to the one person who holds the stick. Senator Collins used a beautifully decorated stick from an African country, but, practically, the talking stick takes many forms. 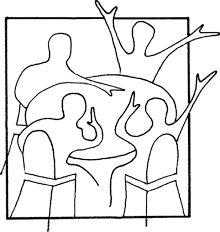 In some groups I use an object that has special meaning for the participants and is easy to pass from one person to another. Sometimes I use a koosh ball which feels good to hold, introduces an element of fun, and helps people to relax. Whatever form it is, the talking stick is passed in a circle which reinforces the intention to give everyone an equal chance to speak. Sometimes people use a talking stick in their family conversations. A talking stick curtails the challenges of crosstalk; it creates an atmosphere of hospitality that fosters deep listening to the thoughts and feelings of everyone. Steve Becton facilitates workshops and leads discussions related to having constructive conversations about race in and out of schools. 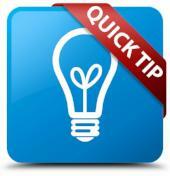 In his short blog article he offers five suggestions for having constructive conversations about any subject. The suggestions are applicable to all of us, no matter what age or experience. In our local area, Becton is an inspiration to Compassionate Fremont in its work as part of the global Charter for Compassion movement. When schools are using programs like Becton's Facing History and Ourselves it is no wonder that we are seeing so many young people initiating and sustaining conversations, about citizenship, justice, responsibility and action. 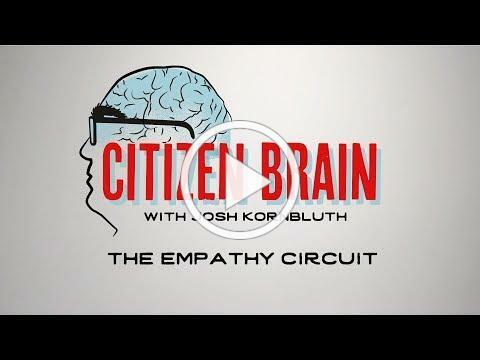 In his 10-minute video, The Empathy Circuit, actor John Kornbluth explains how we develop our capacity for empathy and why empathy is so essential for us to survive and thrive in our world. The video is an enjoyable mix of disarming humor, scientific knowledge and professional expertise. A particularly heartening connection is that Josh Kornbluth and his video will be featured at the Radical Empathy Forum in which fifteen candidates for election in our local state assembly district will participate. The core topic will be: "How might we build a more empathic and caring culture?" 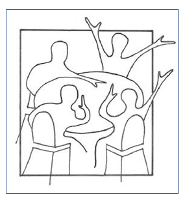 Participants will engage in conversation using The Empathy Circle dialogue process. A good news story!
. . . Could you please tell me a little bit about what you are thinking or feeling so I can understand? "